Benno Nagel has worked for years on forming an Oakland soccer club that best represents his diverse, big-hearted city. Whenever I catch a game at the Oakland Coliseum or Oracle Arena, I’m marveled by the passion of East Bay fans. Their pure spirit and rugged but unconditional love explain why I’ll always root for Oakland teams, whatever the sport. Who’s going to be the entrepreneur smart enough to see the huge business opportunity in Oakland for a growing sport like pro soccer, especially now that the NFL’s Raiders and the NBA’s Warriors foolishly plan to desert the city? That person appears to be Benno Nagel — a lifelong soccer fan and player who grew up in Oakland and whose passion for his hometown matches that of his favorite sport. Nagel and his partners have formed an organization called Oakland Pro Soccer. They say they want to create a different type of sports franchise — tentatively called Oakland Roots Sporting Club — that will be known as much for giving back to the community as it is for winning. Moreover, they want Oakland Roots to authentically represent The Town, to become a team that truly looks and feels like the offbeat, diverse city in which it will play. The fledgling soccer team’s partners, for now, will avoid Major League Soccer, the United States’ top league. Instead, they’ve set their sights on lower divisions and hope to field both a men’s and women’s semipro club in Oakland by early next year. 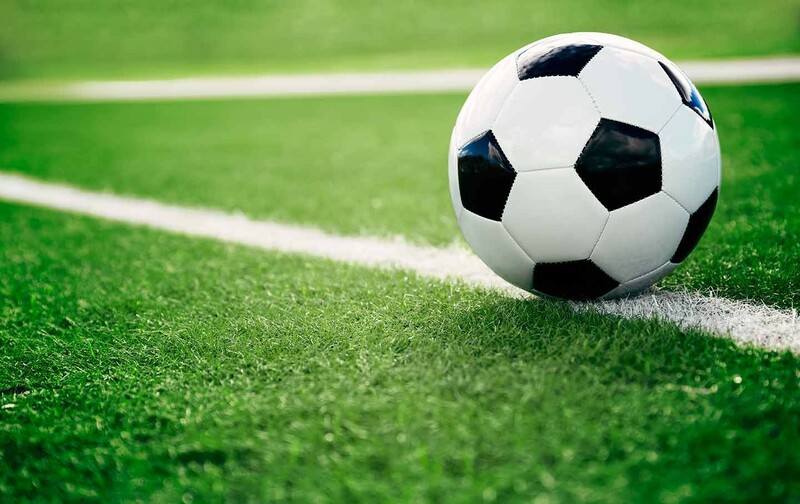 The men’s Oakland Roots team would play in the National Premier Soccer League, while the women’s squad would be in the Women’s Premier Soccer League, Nagel said. Once their inaugural semipro seasons are complete, Nagel hopes to move the teams into a pro league — the National Independent Soccer Association — in the fall of 2019. Nagel has served on the coaching staffs at Holy Names University in Oakland and the United States Development Academy in Fresno. He has had several employment stints with clubs overseas, including an internship in the women’s soccer department and academy at FC Twente in Holland and at the players’ academy of Dinamo Zagreb in Croatia, which has launched the careers of several international standouts. Those experiences helped him land an assisting coaching position at Rayo OKC — a North American Soccer League team in Oklahoma. Yet, at each of those jobs, Nagel felt a nagging urge to return to The Town, where he grew up and lettered in soccer at Bishop O’Dowd High School. “I often thought to myself, ‘What am I doing not being in Oakland?’” he said. Eventually, he stopped asking the question and started looking for its answers. With a laid-back veneer that belies his intense focus, Nagel since then has quietly but persistently worked on launching Oakland Roots. He wants an enduring franchise that will represent Oakland’s culture and vibe, as well as reflect the city’s history of inclusion, social progress, and being a champion of the underdog. In a city known for cultivating soulful musicians and bold artists, Nagel and his partners want to be just as creative and audacious in how they reach out to fans. They foresee combining home soccer matches with food drives or asking their fan base to donate to local nonprofits in exchange for game tickets, among other ideas. Edreece Arghandiwal, a marketing exec who was born in Oakland and raised in Alameda, has joined Nagel’s business team. Together, they’ve spent the last two years meeting with community stakeholders, including lower-division clubs, fans, and sports executives. They’ve also culled together a number of well-heeled investors as they work toward their teams’ inaugural season. The team’s leaders have met with Oakland councilmembers to discuss where the soccer squads might play. The Coliseum is not possible at this time, as the Raiders will likely play there until the end of 2019, and the A’s say they’ll be there through 2023. Nagel and his partners, meanwhile, haven’t yet decided on a specific Oakland site, and are considering playing at several smaller locations throughout the city in their first season. As an example of what can be accomplished, Nagel points to the grassroots success of Detroit City FC, a semipro NPSL team. The Michigan club has begun turning a profit, and its operating budget now exceeds $1 million. It also has attracted a rabid following, as well as major corporate sponsors, even though it started with humble roots, playing at first in a modest, funky venue with little of the publicity enjoyed by major pro leagues. Would East Bay fans support a similar lower-division team? After rooting for billion-dollar franchises that have won major pro titles and earned international acclaim, would Oakland go for a small operation starting on the ground floor? If done right, Oakland Roots could be what the Raiders were in their 1960s-and-1970s heyday, a homegrown franchise whose popularity spreads like wildfire because locals have nurtured it from its humble beginnings, cultivating an intensely rare and committed brand of loyalty. Oakland Roots could enjoy a similar transformation. If the club were to get off the ground and continually grow to a point where they start playing in a regularly sold-out stadium, it’d be impossible to quantify the pride and passion felt by fans who remember the team’s early days, when they cheered in the rain with 47 other soccer fanatics on a hill in San Antonio Park or at Raimondi Park in an industrial corner of West Oakland. Nagel and his business partners understand. They’re longtime Oakland residents and fans, too. Chris De Benedetti writes a regular sports column for the Express.